Messes are integral to military life and serve a vital role in fostering morale and building esprit de corps. 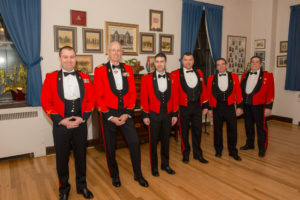 The Mess Dinner is a formal military dinner held on special occasions, and it is a central event in the life of the Mess; it is here that members of a unit and their guests meet for fellowship and hospitality. 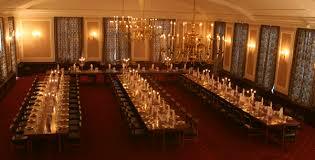 An invitation to dine in the Mess is an invitation to enter the home and share in the life of the organization. 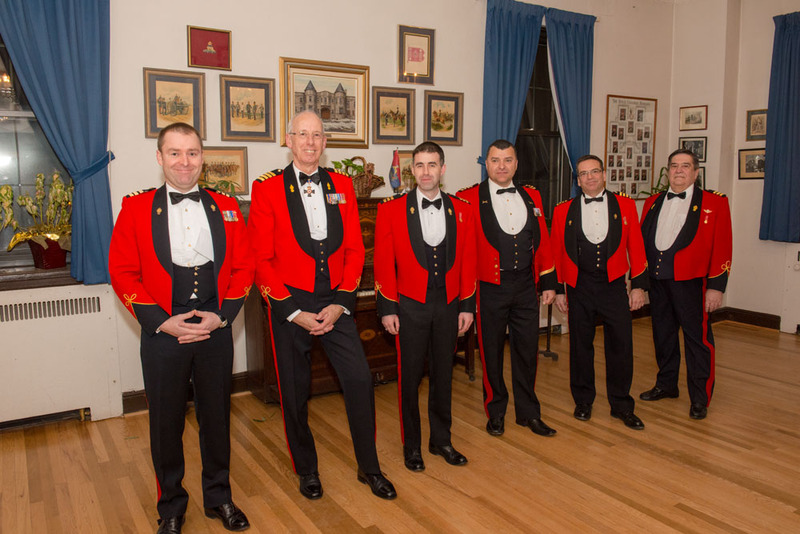 Though Mess Dinner procedures vary from unit to unit, they are fundamental to any unit’s traditions. 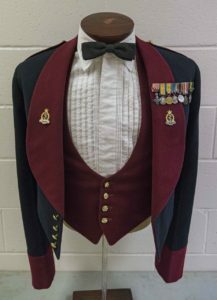 Mess dress is the military term for the formal evening dress worn by military officers in the mess or at other formal occasions and can trace its origins back to the New Model Army of the English Civil War 1642-51. 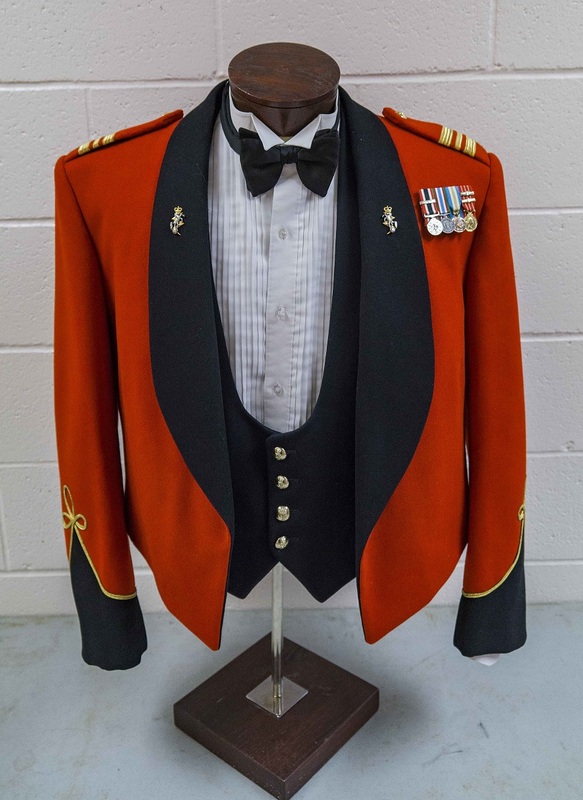 Exquisitely crafted and finely detailed they are as much works of art as they are ceremonial uniforms. 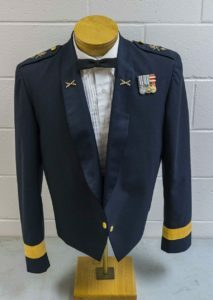 It frequently consists of a mess jacket and trousers worn with a formal shirt and other formal accessories, though the exact form varies depending on the uniform regulations for the various regiments and branches. While predominantly a uniform worn by commissioned officers for whom it is mandatory, it may also be worn as an optional uniform by non-commissioned officers. Pre War Royal Canadian Army Medical Corps with Captain rank insignia. 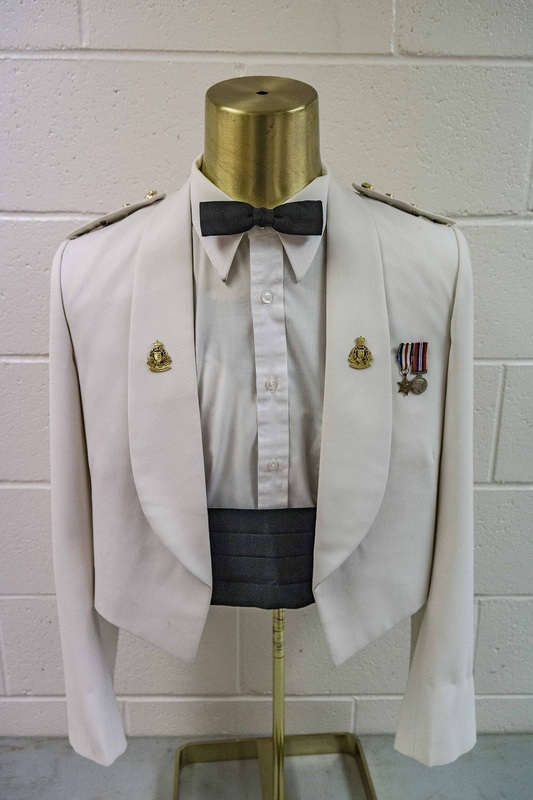 Post War Senior Officer’s cavalry style with Royal Canadian Army Service Corps collar and Major rank insignia. Post War Junior Officer’s cavalry style with Royal Canadian Ordnance Corps collar and Captain rank insignia. 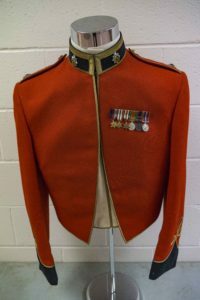 Canadian Forces with General officer collar and Brigadier General rank insignia. 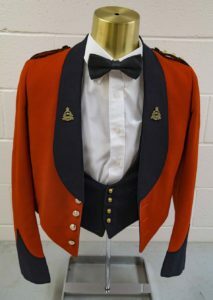 Note: This style was worn by all Canadian Forces officers from unification until return to distinctive army pattern. 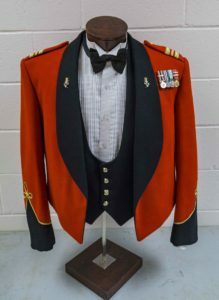 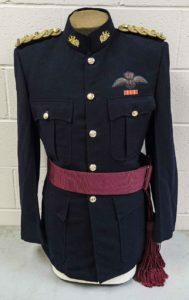 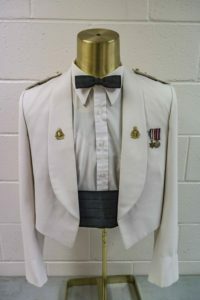 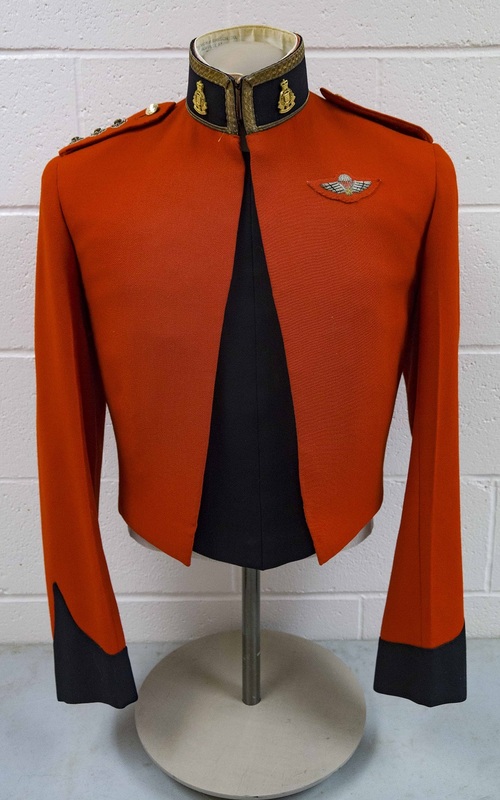 Circa 1990 Senior Officer’s shawl collar with Royal Canadian Electrical & Mechanical Engineers collar and Lieutenant Colonel rank insignia. Note: In 2015 rank designation on shoulders returned to pre-unification insignia.